To add income to your budget, you first need to add an account—typically your checking account. Once you create your account, the starting balance will be waiting To be Budgeted at the top of your Budget. Add new income to your budget by adding a transaction in your account. Use the payee to describe the source of the money. This could be a specific person or business, or something more general like Paycheck. In the category field, select Inflow: To be Budgeted. In the inflow field, enter the amount of the income. Your money is now ready to budget—head over there and give those dollars jobs! 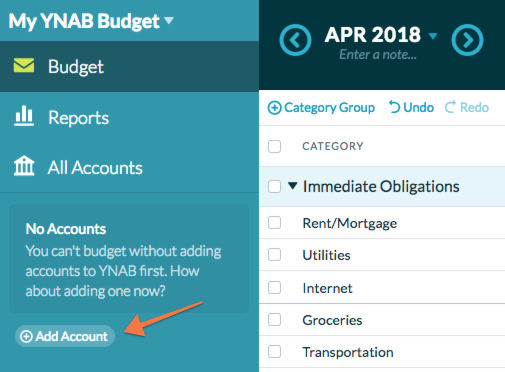 All income in YNAB is categorized as Inflow: To be Budgeted. If you would like to track income sources, use different Payees (they'll even be listed separately on your Income v Expense Report! ).